In our showroom in London Arte’s complete collection of wallcoverings is on display by means of an interactive presentation system. In this unique setting you will obtain professional advice and you can become familiar with all the colour, design and texture variants of Arte. 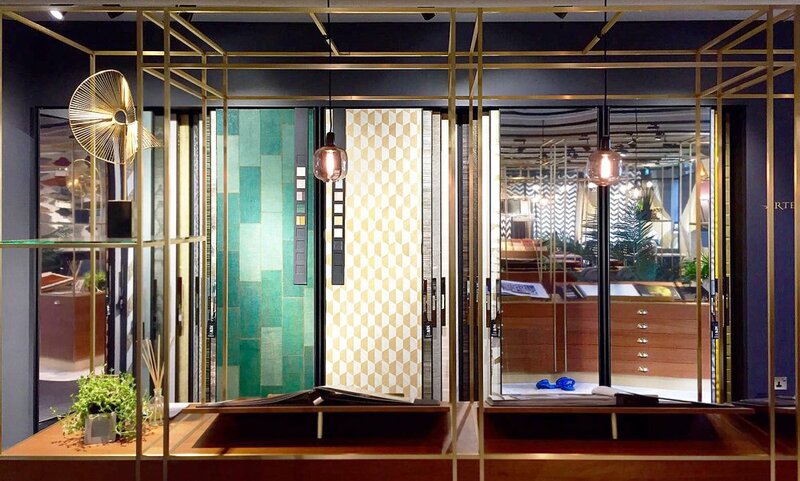 The decoration of the showroom is a perfect balance between austerity, elegance and functionality. Thanks to the extensive sample library and the interactive presentation system, you can try out all imaginable combinations of materials and colours.